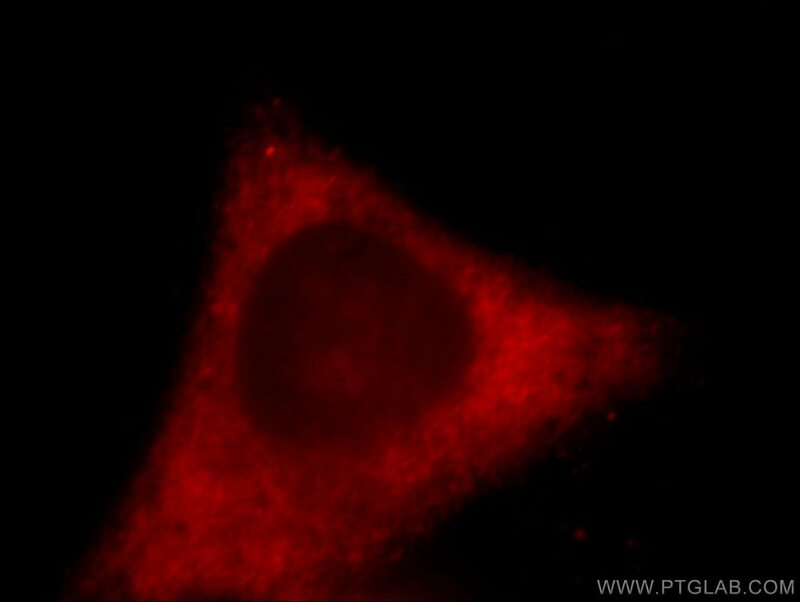 Immunofluorescent analysis of HepG2 cells, using ACSL3 antibody 20710-1-AP at 1:25 dilution and Rhodamine-labeled goat anti-rabbit IgG (red). ACSL3, also named as ACS3, FACL3 and LACS3, belongs to the ATP-dependent AMP-binding enzyme family. Acyl-CoA synthetases (ACSL) activate long-chain fatty acids for both synthesis of cellular lipids, and degradation via beta-oxidation. ACSL3 mediates hepatic lipogenesis. Preferentially uses myristate, laurate, arachidonate and eicosapentaenoate as substrates. Has mainly an anabolic role in energy metabolism. Required for the incorporation of fatty acids into phosphatidylcholine, the major phospholipid located on the surface of VLDL (very low density lipoproteins). 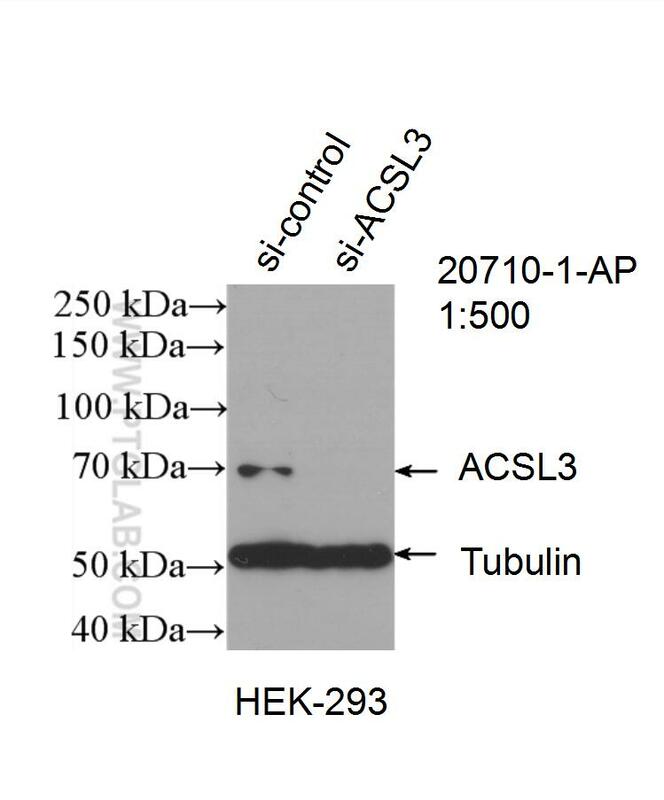 The antibody is specific to ACSL3. Morphologically and Functionally Distinct Lipid Droplet Subpopulations. Integrated metabolomics and lipidomics analyses reveal metabolic reprogramming in human glioma with IDH1 mutation.